A range of luxury options that will enhance the look/feel/durability of your product. A beautifully printed greetings card is worth a hundred e-cards so bring a bit of seasonal cheer this year to someone you know. All our greetings cards are printed using our HP Indigo 12000 onto your choice of coated, uncoated or coated one side boards and come with a wide choice of finishes including laminating, spot UV and foiling. Whether or not you request a proof, all supplied artwork files undertake our rigorous 10 point file check to ensure your printed job turns out exactly as you intend. 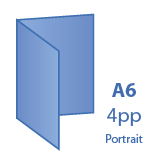 Files are automatically impositioned ready for printing in the most effective way to minimise waste. Choose from our premium range of coated, uncoated or coated one side board (coated one side is a traditional greeting card board with excellent printing characteristics to the coated side but but can be written on inside without any fear of smudging). HP Indigo technology colour printing easily matches lithographic printing for quality and because Flexpress never gangs jobs together you can be sure your card will be individually printed to look it's very best. You wont receive any products printed on beefed-up photocopiers from us - another reason we back everything with our total satisfaction guarantee. Greeting cards are cut and finished using precision finishing equipment. Our cards are always creased or creased before folding to reduce the risk of cracking. 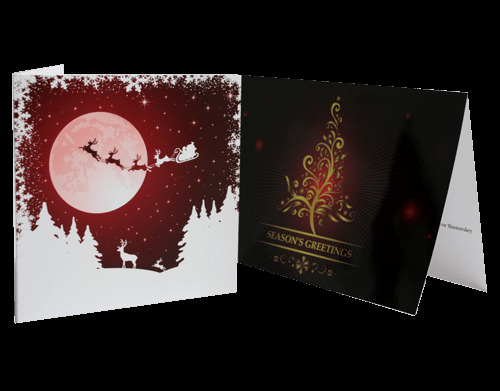 Flexpress have one of the widest choices of special finishes available anywhere online and you can specify your greeting cards with lamination, spot UV or even metallic foiling. All orders are dispatched by reputable national carriers on a next working day service and full tracking details will be emailed to you. Deliveries usually arrive by 5pm although please be aware that once goods have left our premises we have no influence on when they are delivered. If you would like to upgrade to a AM or Saturday delivery, please contact admin@flexpress.co.uk who can arrange this for an additional cost. Flexpress started life back in 1989 and are fully UK based keeping British people in jobs. Everything we offer is printed and finished in-house by us as at our 8000 square foot premises in Leicestershire. We're proud of our facilities and welcome visitors at any time. The download link is for a PDF template for a single page - we recommend you lock these on a layer behind your design so you can ensure all artwork is accurate and in the correct position. 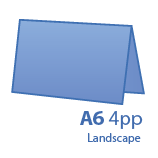 For artwork best practice, take a look at our Artwork and File Information page.